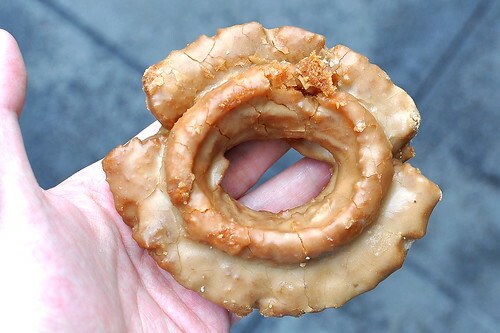 San Francisco Sweets: Morning Buns, Russian Honey Cakes, Egg Tarts, Doughnuts and more! The Astronomer and I traveled to San Francisco back in October for the super-sweet nuptials of two friends (with a side of super-sweet treats). We don’t always have time for serious gastronomic endeavors when we head north, especially with so many friends and family to see, but we somehow manage to fit in desserts. Lots of desserts. Priorities, priorities. After years of pining for Tartine‘s famed morning bun, I finally got my paws on one. 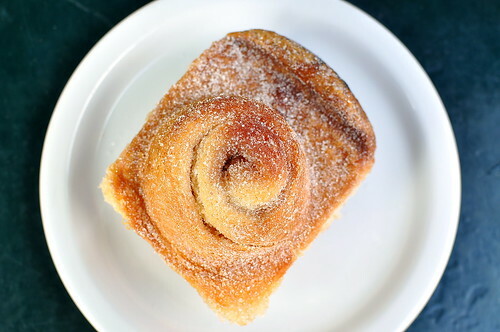 Dusted with cinnamon and sugar, imbued with candied orange, and most importantly, perfectly flaky and buttery, the bun was as lovely as hoped. We also indulged in a slice of cake (before noon!) along with our morning bun because that’s what vacations are for. 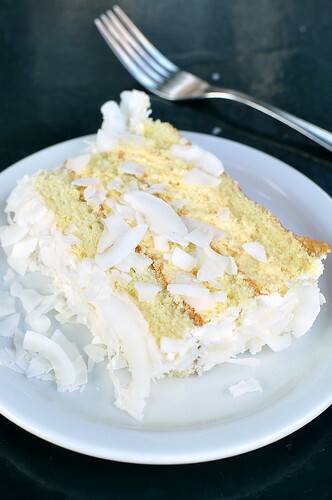 Our choice pick featured lime-moistened genoise cake with passion fruit Bavarian cream, topped with sweetened cream and coconut. Mmm…cake for breakfast—that’s how we do. 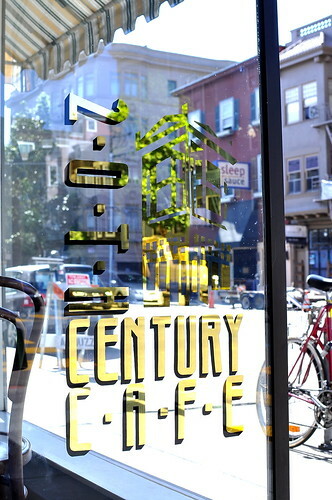 Based on a recommendation from Dylan, we swung by 20th Century Cafe in Hayes Valley for more cake: a krasinski torte, to be exact. 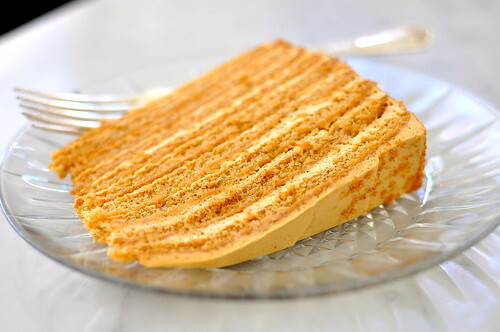 Also known as Russian honey cake, the krasinski torte was comprised of ten delightfully fluffy layers of caramelized honey mousse and genoise cake. We loved how the honey’s distinct flavor was front and center with each bite. I regret not tasting more of 20th Century Cafe’s positively tempting new school Jewish menu on this visit. Next time, for sure. 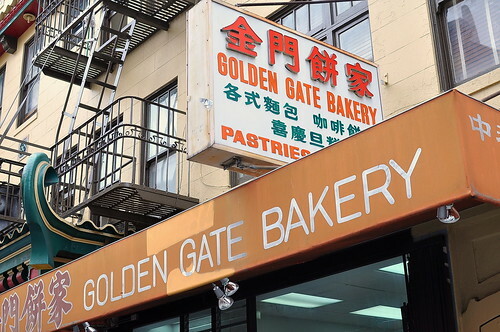 The egg tarts from Chinatown’s Golden Gate Bakery came highly recommended to us by Cousin Michael. We grabbed one to-go while in the neighborhood. 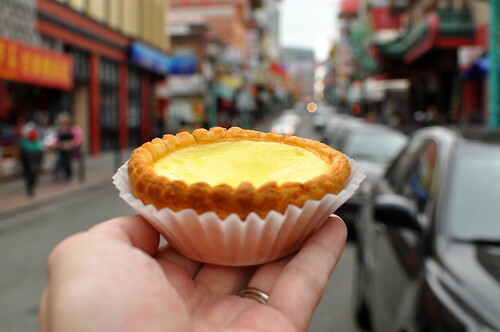 Served up hot, the tart’s custard innards were nice and jiggly, while its crumbly crust held down the fort. While I tend to prefer Portuguese-style egg tarts, with their caramelized tops and flaky crusts, this Hong Kong-style specimen was tops. 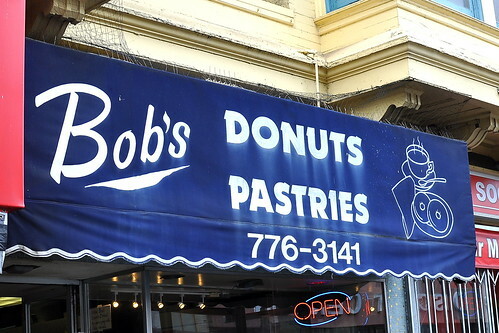 Bob’s Donuts & Pastries, which is considered to be one of America’s premier purveyors of deep-fried delights (See: Travel & Leisure and Saveur), happened to be located a block away from our lunch destination on our final day in the city. So, while The Astronomer waited in Swan Oyster Depot’s line to procure us a seat, I hopped on over to Bob’s for some pre-lunch snackables. 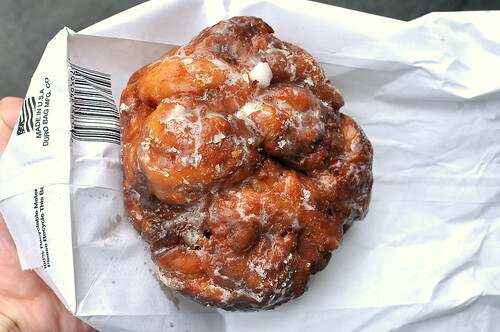 The dense and craggly apple fritter, the shop’s number one seller, was spiked with cinnamon and plenty of fruit. I especially liked the maple-glazed old fashioned, which was even denser than the fritter. 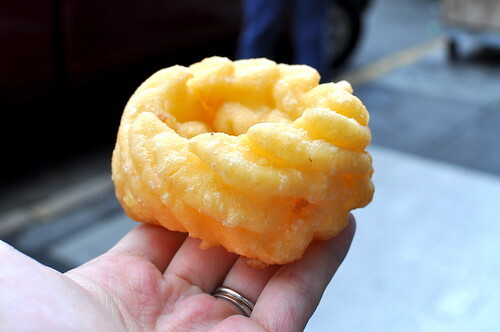 The glazed French cruller impressed with its lightness. While all three doughnuts were solid, considering the shop’s numerous accolades, I was disappointed that none were superior to the ones found at any of L.A.’s mom and pop doughnut stores. 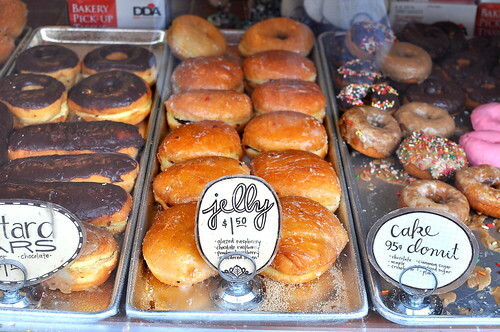 When it comes to doughnuts, we’re a lucky bunch of Angelenos. 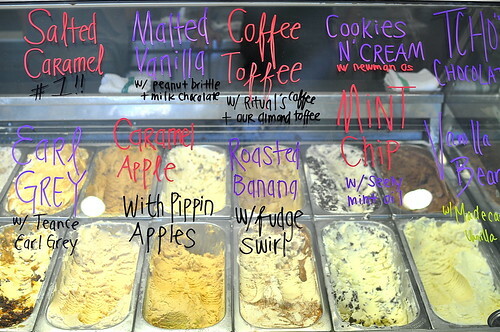 And last but certainly not least, a stop at Bi-Rite Creamery in The Mission. 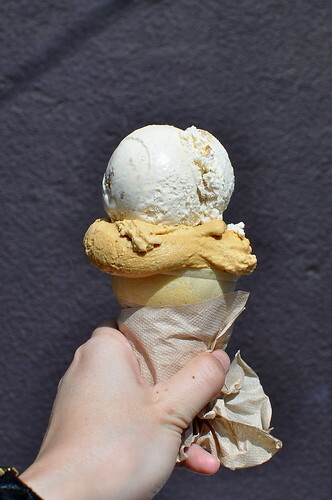 After sampling my way through a few flavors—it was my first visit after all—we settled on a double scoop: one salted caramel and the other, ricanelas (cinnamon with snickerdoodle cookie pieces). 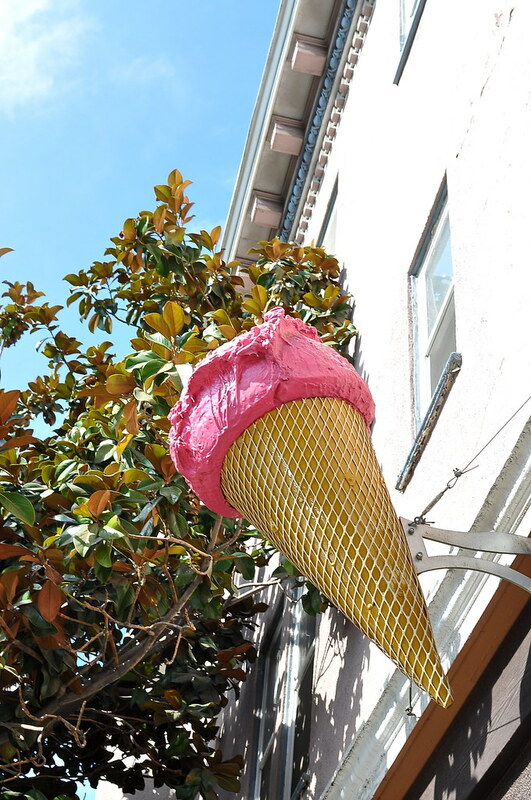 We enjoyed our ice cream in the warm, San Francisco sunshine. Now, those are words I never thought I’d type. 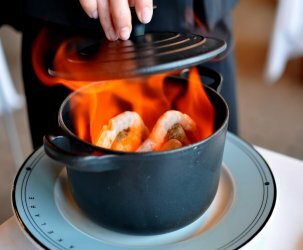 There’s a lot to eat in San Francisco! 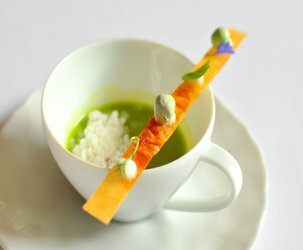 San Francisco usually never disappoints when it comes to food and it looks like it didn’t here. 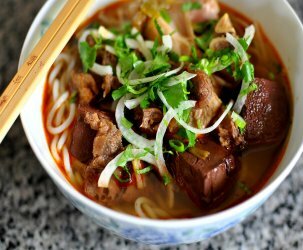 What’s your favorite hole in wall restaurant in San Francisco? Share it on your Besty List! 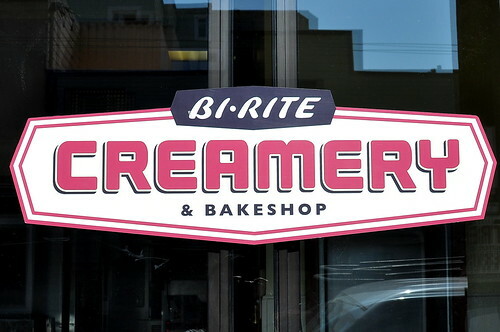 Tartine bakery, Bi-rite creamery, and Bob’s are some of my favorite San Francisco treats! Makes me miss it so! Everything looks scrumptious! I was just up north (east county) this past weekend with my husband and a family member brought a Bi-Rite S’mores Pie for all of us to enjoy. It was superb! So many sweets. I love it!